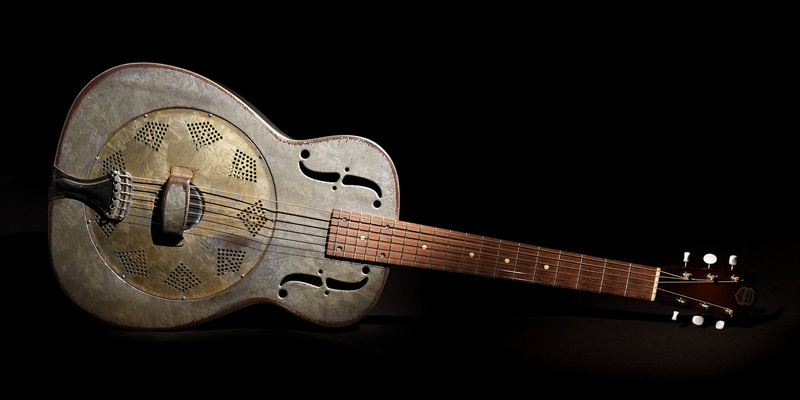 Here is a 1936 14-fret Duolian. 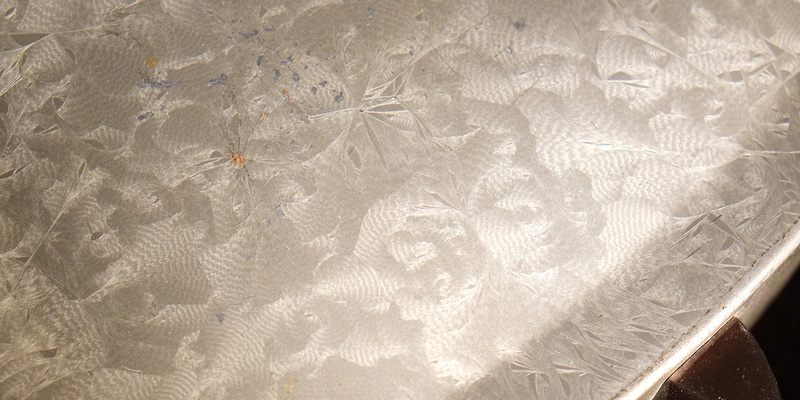 It still has its original frosted duco finish. The neck needed a bit of work and has been refinished. 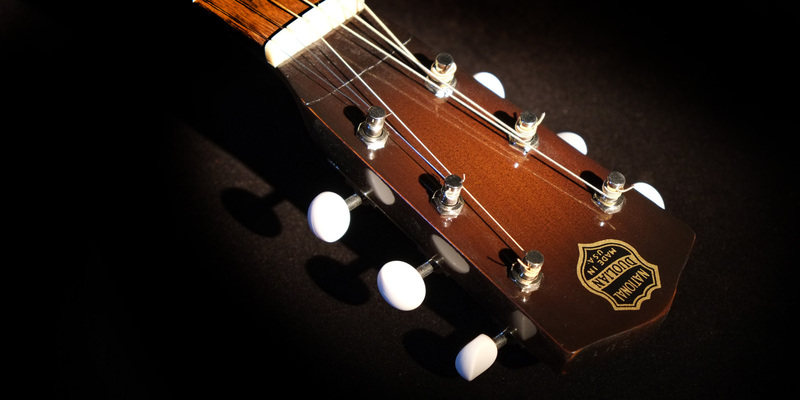 This guitar has a solid headstock with new Stew-Mac Golden Age, Kluson profile, tuners. Very vintage looking. It also has its original cone and tailpiece. 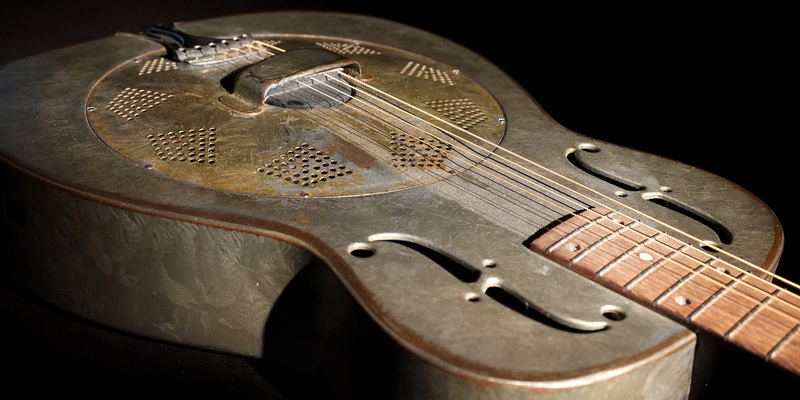 Interestingly, the tailpiece (which is original to the guitar), is a Dobro tailpiece. 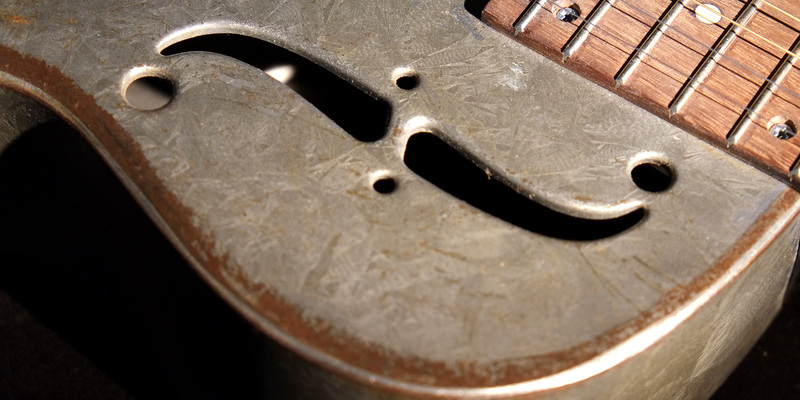 The end of a Dobro tailpiece was detailed more simply than the ones used by National. 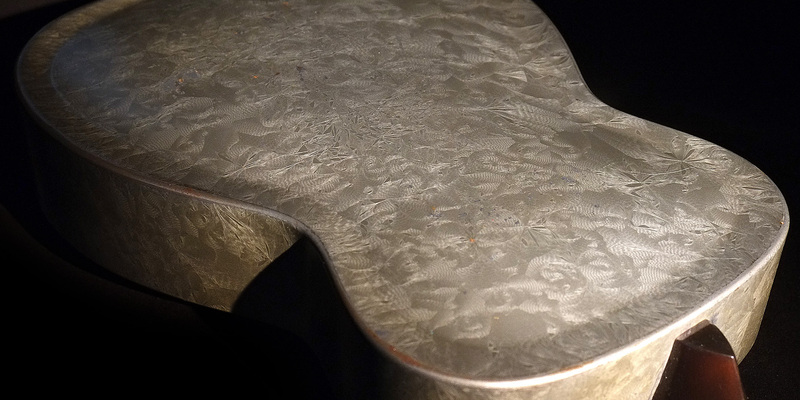 The duco finish on the body displays some typical wear patterns, including the almost uniform loss of finish around the perimeter of the front. I have a theory about this wear pattern. 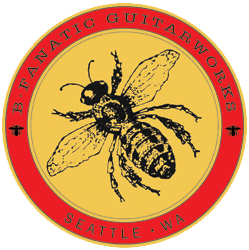 The body on this guitar was made in two pieces, with the front (piece 1) soldered to the back and sides (piece 2). 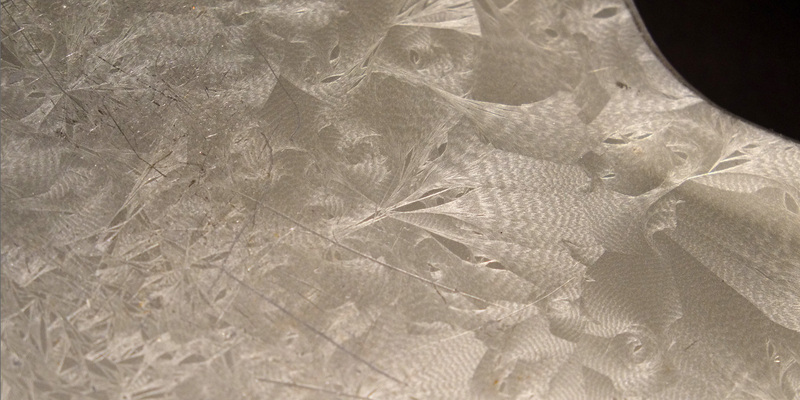 I think the finish loss is the by-product of residual acids from the soldering process. They leach out over time and weaken the finish. This guitar also is a good example of the different tonality that the coverplate’s often had compared to the body. The coverplate on frosted duco Duolians are often much more yellow than the body. I’m just not sure if they started out that way back in the 1930’s. 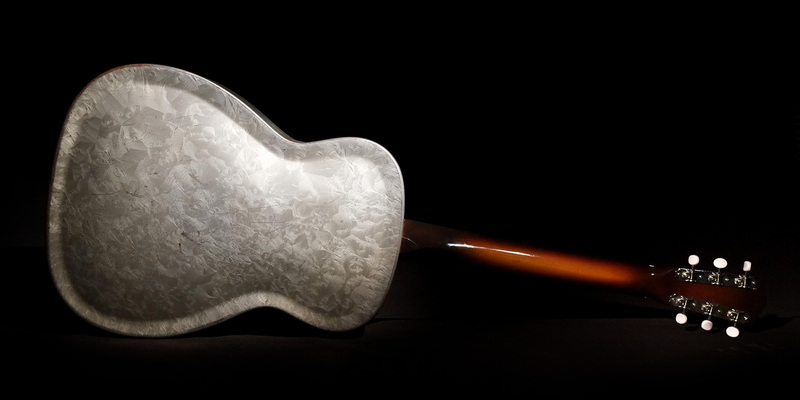 Other paint finishes on National guitars did not have this characteristic, including the brown (“E” Series) frosted duco finish Duolians and the “B” Series Triolian frosted duco finish.